I knew I hit a YA gold mine when I started reading Six of Crows. 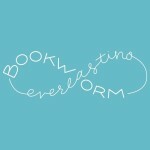 It’s a rare occurrence when I end up liking every character in a book – usually I only end up liking one or two. 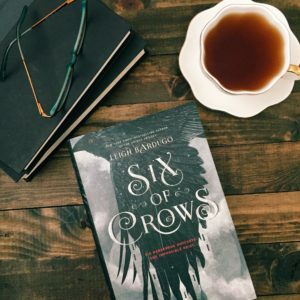 I connected so well with everyone in Six of Crows that I ended up really emotionally invested, especially when it came time for the heist. Every one of Bardugo’s characters were pure genius for their own reason. Kaz was the definition of a mastermind. He made sure he crossed all his T’s, dotted all his I’s, and so much more. I was impressed with him every step of the way. His right hand woman, Inej, was just as impressive with her acrobatic skills, vast knowledge of everyone, fighting abilities, and words of wisdom. Jesper was a definite favorite. I loved his witty sarcasm and the flirting he did with Wylan. He had me smiling even when I didn’t want to (the dangers of the heist had me beyond worried). He was skillful with guns and reminded me of my son with his inability to stay still. He was so full of energy! As far as couples go though, Nina and Matthias were the best. They fought and argued a lot, but deep down I knew the fire they had for each other was burning. When these six characters came together for a heist it was brilliant. They all brought something to the table. I was on the edge of my seat reading Six of Crows. Half the time I had to decide whether to read quickly or stop to take breaks because the emotions were getting overwhelming. Six of Crows reminded me of a younger, grittier, Ocean’s Eleven, but that only covers half of the epicness that is this book. I highly recommend it. Great review! I’ve had this on my tbr list for so long now I really need to get to it! Yes! You won’t regret it. It’s really good.